Due to the fact that so much has been happening in Chiapas, the English version of the news sheet Boca en Boca has not yet been published. As we know that many people like to keep up with the Chiapas news in English, we are publishing the translated items now. 18/11- 15 regions of Luz y Fuerza call for unity against the federal government, and to organize a united front. At the launch of their a hunger strike on 03/11, ejidatarios of Chicoasen explained: “it’s due to the unfair imprisonment of one of our lawyers who was taking legal action over the construction of the hydroelectric dam ‘Chicoasen II’, and there are also arrest warrants against the other lawyers as well as grassroots ejido members “. On 22/11, Las Abejas of Acteal reported: “Today we denounce publicly and before the Inter-American Commission on Human Rights that the Mexican State through the “governor”, came to Acteal on 13/11 to the PRI and Green community to distribute lambs, chemical fertilizers [etc.]. Obviously, those who received these goodies are: [party members] and various paramilitary perpetrators of the Acteal massacre who have been released.” They view that act as manipulation and government strategy. “The state cannot deny that the purpose of the “governor’s” visit to the PRI area of Acteal is to promote amnesia, deny the truth and abort the process of justice in relation to the massacre of Acteal” on top of the events of 20/10 at the public hearing of the Commission. Finally they invited people to commemorate the 18th anniversary of the Acteal massacre on 21 and 22/12. They denounced “the fake commissioners appointed by the state government, the idea of the Agrarian Attorney’s office in Palenque”. 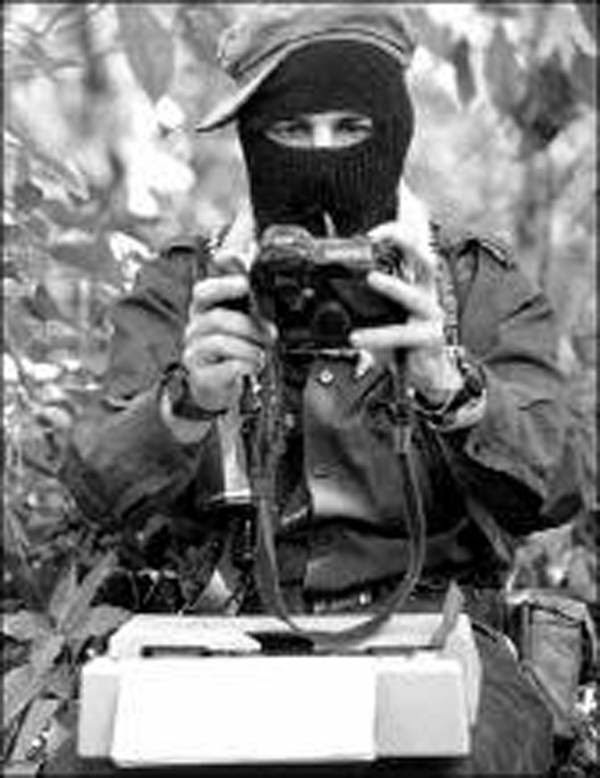 “The reason for doing this [such cuts] is purely for being adherents to the Other Campaign of the EZLN”. The Mesoamerican Migrant Movement announced the “11th Caravan of Central American mothers looking for their children who disappeared in transit through Mexico,” starting this 30/11 and ending with the celebration of International Migrants’ Day on 18/12 in Tapachula, commemorating the “Day of Global Action against racism and for the rights and dignity of migrants, refugees, and displaced people.” They will be passing through Arriaga from 13/12. They stated the objectives of this caravan: “the work of 2015 is marked by the current phenomenon of forced displacement generated by criminal violence, which is the “collateral damage” of the militarised war against organised crime that feeds violence of such magnitude that it obliges people to leave their places of origin by force. When fleeing their countries, they run into a Mexico which has become an insurmountable containment barrier that prevents the displaced people from reaching their destination.” They invited people to participate in the caravan to give it visibility and to put pressure on the authorities. The Massacre of Viejo Velasco is not forgotten! On 25/11, indigenous people from the Movement in Defence of Life and Territory -MODEVITE- and from the Pueblo Creyente of 11 parishes marched peacefully to remember to care for Mother Earth against the threat of mega-projects, to stop the sale of alcoholic drinks and drugs as well as prostitution in the towns and to denounce the ineptitude and corruption of the authorities. They recalled on 25/11 “we want to unite with our mothers, daughters and sisters who have been beaten physically and psychologically, excluded, exploited, abused, raped and discriminated against”. The movement announced its adherence to the National Campaign in Defence of Land and Territory, the Mexican Movement of People Affected by Dams and in Defence of Rivers (MAPDER), and the National Citizen-Popular Constituent Assembly.